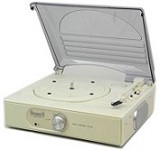 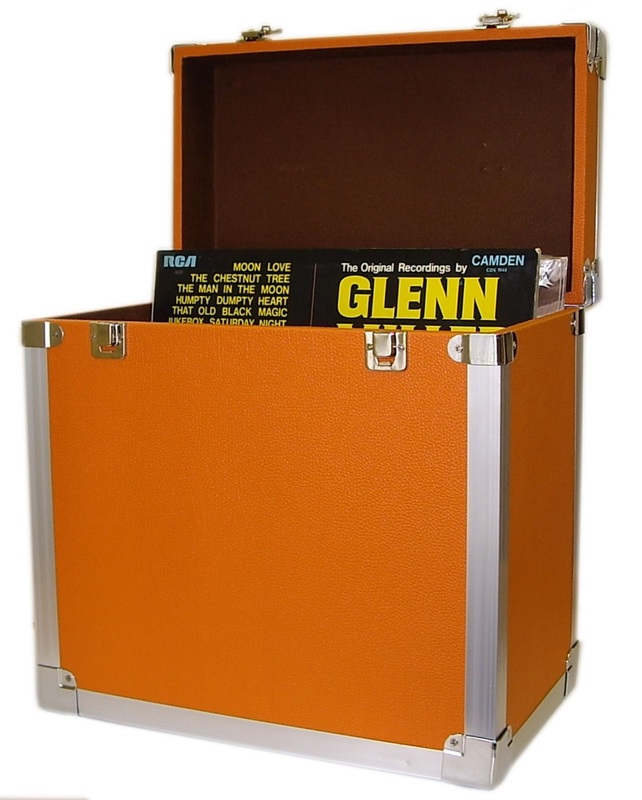 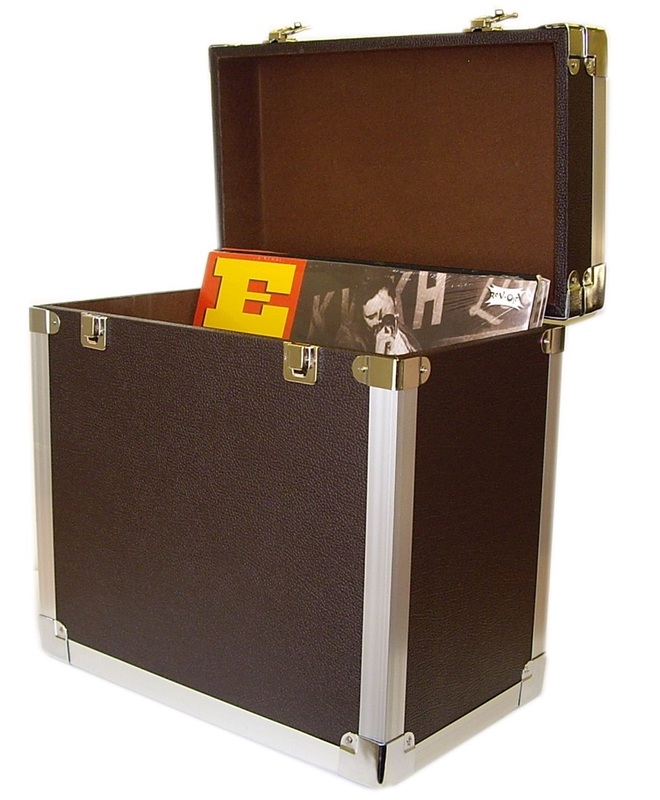 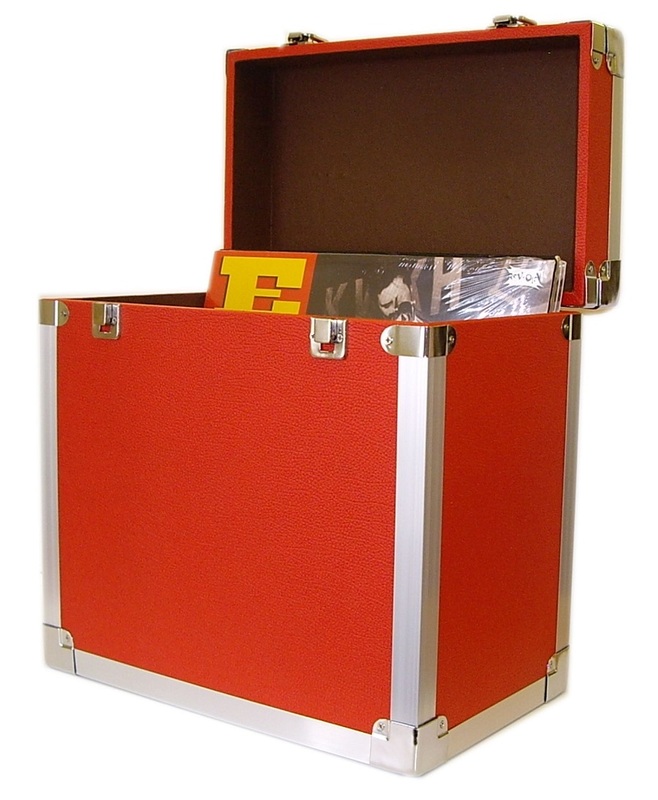 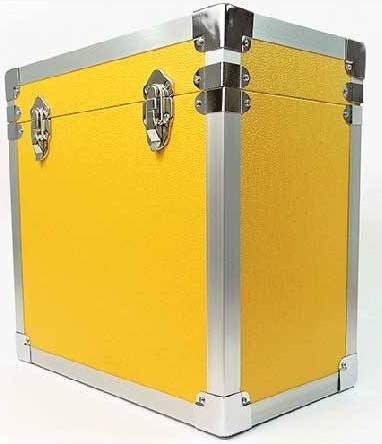 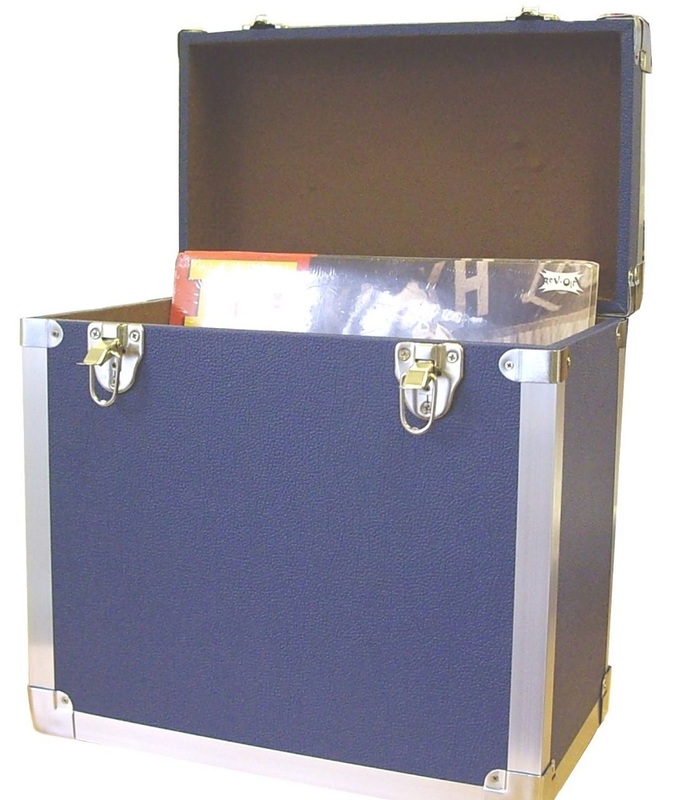 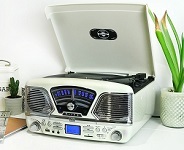 Portable LP Storage Box, with robust vinyl covering. 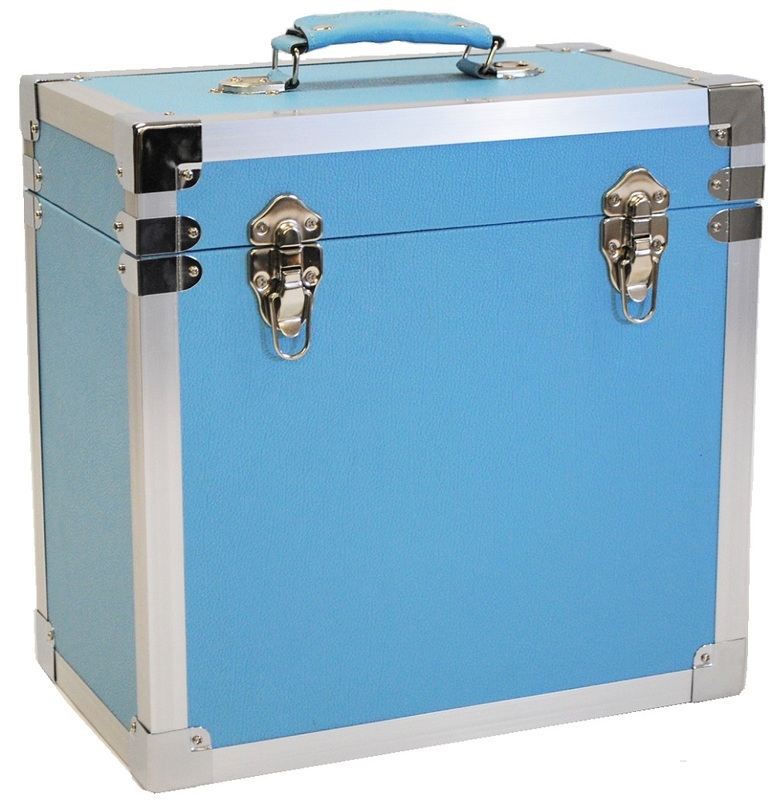 - available in 6 colours! 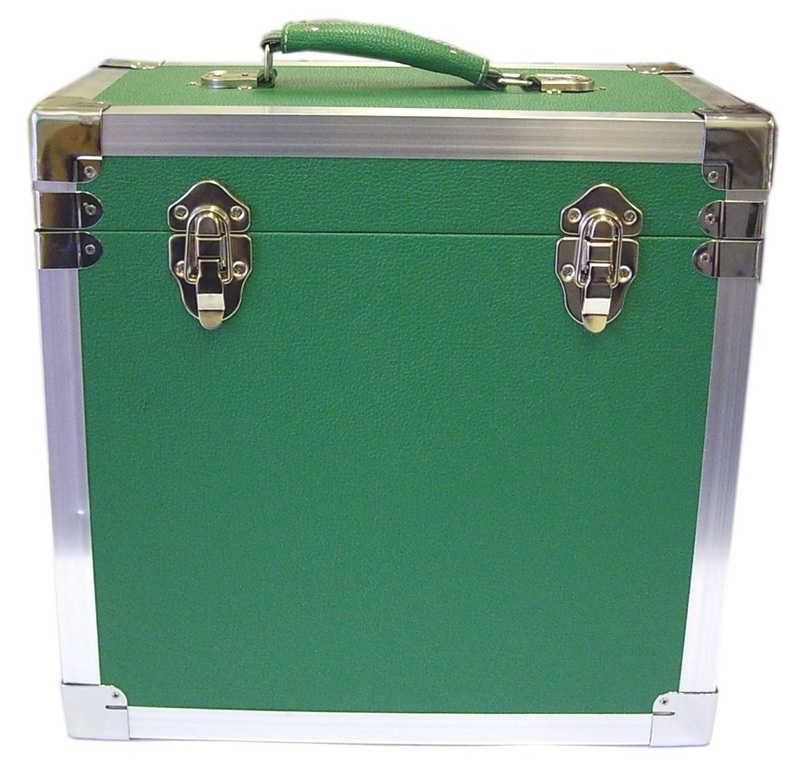 Protective chrome effect trim on corners and all edges of box, a hinged lid with 2 closing clasps and strong carry handle in matching colour!. Will hold approx 50 LPs in their sleeves.